Himachal Pradesh is a state surrounded by the mighty Himalayan Range and endowed with an alluring natural beauty. It is also home to many popular trek destinations in India. The Chandrakhani Pass trek is one that takes you through some of these green ranges, gurgling rivers, and lush valleys of Kullu. This trek begins at Naggar, spanning over a 4-day duration. This trek takes you through Rumsu Thach and Naya Tapru, beneath the Chandrakhani Pass and back to Naggar where you will visit the Naggar Castle, Roerich Art Gallery and different temples in the Kullu Valley which also has a special place, etched in the eons of History. This trek will include homestay in Pulag, a small hamlet, and camping at places like Chaklani and Naya Tapru, and covering Naggar and Manali for a complete awesome trek in the Himalayas! The adventure begins with a brisk drive from Patlikuhl to Rumsu passing through Naggar, a quiet village offering a picturesque view of beautiful mountains. You can explore several temples, trekking trails, fishing, and water rafting in this village. The drive from Patlikuhl to Rumsu is short. After a relaxed drive, you will trek through the dense forest, full of pine, fir, oak, and chestnut trees to reach Naya Tapru. This will be your base camp and you will spend the rest of the day here. Trekking will start from Naya Tapru early in the second day morning along with the team. The objective is to reach Chaklani, which is at a 1120 feet altitude. After a thrilling trek for about five hours, you will reach Chaklani. You can expect snow if you're lucky. Make your campsite in Chaklani and stay overnight. Descend back and start your trek along with the team towards Pulag via Chandrakhani Pass. Pulag is a small hamlet that offers a spectacular view of the mountain ranges, lush greenery and a cool breeze. Chandrakhani Pass is also known as the Valley of Gods. While trekking to Chandrakhani Pass, you will have a scenic beauty of remote villages and Kullu Valley giving a visual treat. Stay in this place to enjoy the scenic beauty, capture adventurous moments, and have dinner along with the team of trekkers in a homestay in Pulag. Along with the trekking team, head back to Naggar to visit some amazing places. Visit Naggar Castle, an ancient building that was built with medieval stone and wood mansion by Raja Sidh Singh of Kullu around A.D. It is now converted into a heritage hotel and offers a spectacular view of the location. Also visit the Nicholas Roerich Art Gallery, a house of late prof. Nicholas Roerich, who was a reputed artist. His house has been converted into an art gallery, offering rare paintings open to visitors. 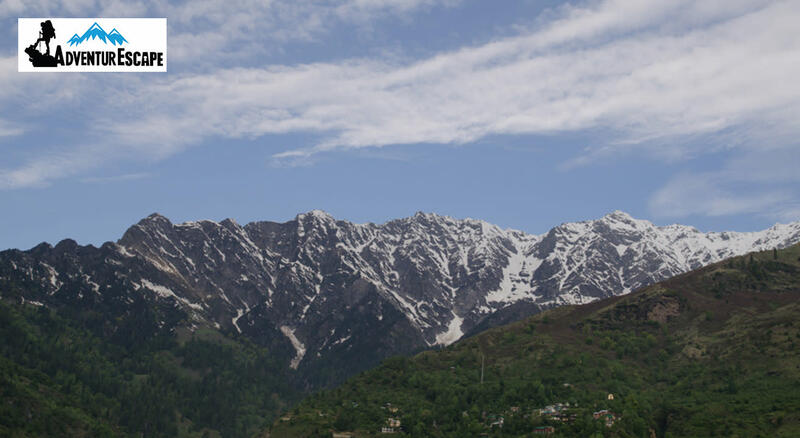 Being the old Capital of Kullu, Naggar has several other ancient places to visit. With great moments and an awesome experience, you will be driving back from Naggar to PatliKuhl along with the trekking team. Accommodation costs (camping) sleeping bags, with roll-on mattresses and the pantry/kitchen and toilet facilities. Any of the permit charges, forest entry fee and camping charges. Trekking shoes: Trekking shoes with a good grip and ankle support is compulsory for the trek. Please ensure that the trekking shoes are not new and used by the trekker prior to the trek. The trail is slippery and requires you to walk through rocks and boulders, so a good grip and water resistance shoe is necessary. Do keep an extra floater in case of rain and for use in camps. Backpack (50-70 litres): A backpack with comfortable straps and a supporting frame is very important as you have to carry it on your own during the trek. Invest in a good backpack that is lightweight and comfortable to carry on long treks. Daypack (20 litres): Keep a daypack in case you offload your backpack during the trek for your essential day items. Torch or headlamp: Please bring a torch or headlamp for all treks. Cutlery: Carry a spoon, mug and a lunch box. AdventurEscape insist on trekkers getting their own cutlery for hygiene reasons and for packed lunch. Sunglasses: Invest in a good pair of sunglasses as you are going to be out in the sun for most of the day. If you are trekking in snow, it will be mandatory as it protects you from snow blindness. Two water bottles: 1 litre each for water during the trek. Thermals: Carry thermals to keep yourself warm in the camp. Trek pants (2) for daily use during the trek which are light and comfortable. Collared shirts (3-4); full sleeves and quick dry so that it prevents sunburn on the arms and neck area. Cap: To protect your hair and face from the scorching sun, carry a cap. Synthetic gloves for your hands as it will protect your hands from water, snow and keep you dry and warm. Socks (2 pairs) + woolen socks (2 pairs) for keeping you warm in the camps. Toiletries: Sunscreen, moisturizer, lip balm, toilet paper, toothbrush, toothpaste, hand sanitizer, wet wipes and tissues. Plastic covers: While packing, use plastic bags to compartmentalize things and carry few extra plastic bags for wet clothes and to bring back your non-biodegradable material back. Mountains are the source of water and life on this planet. Please try and keep it clean and healthy. The nearest airport for Manali is Bhuntar, 50 km (Approx.) from Manali. Air India & Air Himalayas (9 seater non-scheduled flight) have flights for Kullu. Air India has flights to Kullu from Delhi Airport & Air Himalayas operates flights from Chandigarh Airport. The two nearest railway stations for Manali are at Chandigarh (350 km) and Ambala (360 km). Onward journey can be travelled either by chartered taxis, buses or by air as Himalayan Bulls, a private 8 seater charter is available between Chandigarh & Kullu. You can also reach Manali by road. There are many Volvo buses running from Delhi and Chandigarh daily. Delhi to Manali buses are available from RK Ashram Marg as well as ISBT Kashmiri Gate. Chandigarh to Manali buses are available from Sector 43 Bus Stand. What is the style of accommodation in this trek and are they comfortable? You will be staying in a guest house when you reach Manali; the room will be shared by other trekkers. During the trek, the accommodation will be in tents on triple sharing basis. You will be given individual sleeping bags which are comfortable and warm, and can withstand cold weather of -10 degrees. Daytime temperatures will range from 13-20ºC and night time temperature will range from 0-7ºC in summer. In winter, temperatures will range from 8-14ºC during the day and can drop down to -7ºC at night. Will there be snow on this trek? Carry a poncho with you and during rains, continue as scheduled using the poncho and backpack cover to protect you from the rain. The tents that you will be staying in, the dining tent, kitchen and toilet tents are all waterproof, so you will stay dry inside. How do we reach Rumsu base camp? You can transfer your trek to your friend/family (same trek) No cash refund. Adventurescape India is an adventure travel community for trekking in India. They strive to give you the best trekking experience with our focus on expertise and experienced staff, safety and individual attention.